Fill your glass with plenty of ice. “I can’t stress this enough. It chills the drink right down and ensures your ice doesn’t melt as much. Who wants a watery G&T?” So now you know. More ice means less ice-melt. 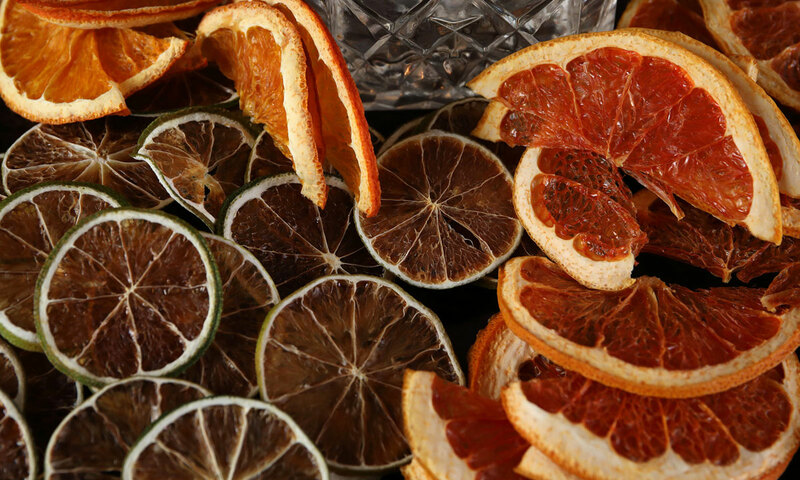 Now let’s impress with amazing dehydrated orange, lemon, lime and ruby red grapefruit. To do this at home, slice your fruit as thin as possible, blot with paper towels, spread out on racks, set your oven at 70 degrees, and leave it for 8-12 hours – longer if needed. Let cool and set in airtight jars. They will last forever and look great on your liquor shelf. Other terrific garnishes that Hains & Co uses are rosemary, thyme, cucumber, mint, cassia bark and star anise. Pairing your gin with the right tonic is crucial. 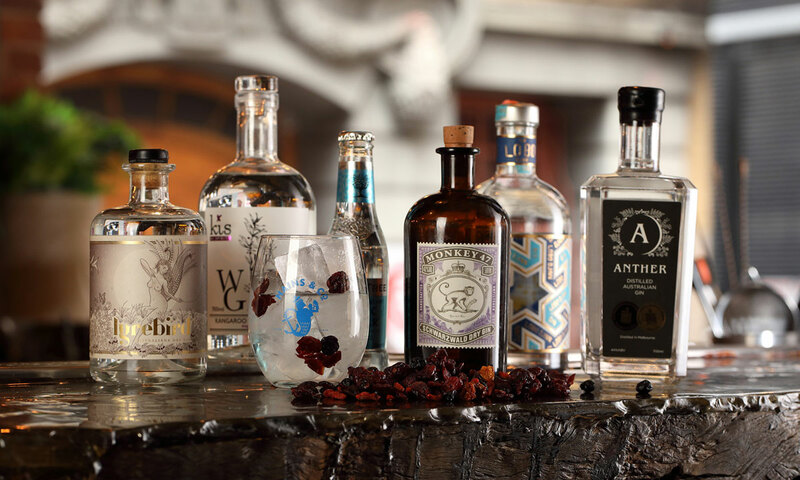 Big ballsy London dry gins pair well with Schweppes. Fever-Tree Indian Tonic balances out easy drinking gins, while Fever-Tree Mediterranean Tonic elevates the flavours of botanical gins. Now that we’ve got the basics right, we’re ready to talk the star of the show – gin. Here, juniper takes centre stage and is best served with Indian Tonic. Try: London No. 3, Ounce Signature Dry, Beefeater, Never Never Triple Juniper, Deaths Door, or Tanqueray + Indian Tonic + dehydrated lime. Always a crowd pleaser, with beautiful citrus backed with a layered complexity and light botanical notes. Mix with a lighter style of tonic or soda so the gin is not overpowered. 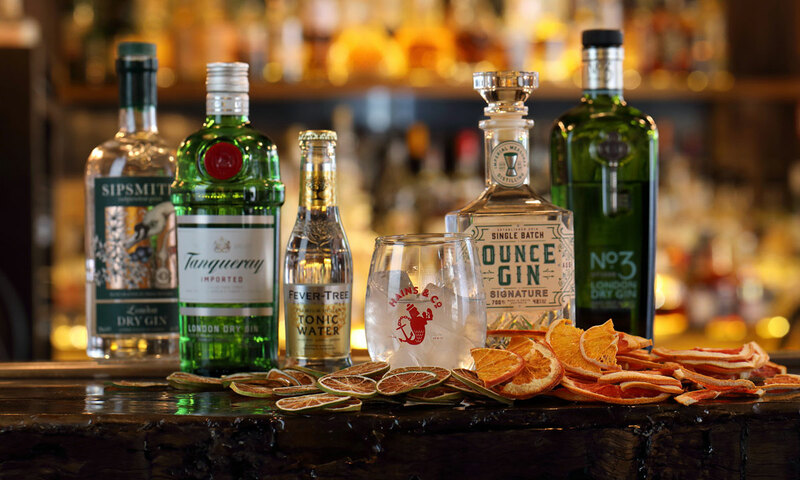 Tanqueray Rangpur, Citadel, Green Ant or Ink Gin + Fever-Tree Mediterranean Tonic + fresh lime wedge. Sloe berries create a different style of gin, best served with crushed ice and a dash of soda, or a light tonic like Fever-Tree Mediterranean. Four Pillars Bloody Shiraz, Brookies Slow, Elephant Sloe, Plymouth Sloe, KIS Mulberry, Applewood Cherry + dash of soda + a fresh orange slice. These gins are loaded with extra botanicals and work well with a brighter tonic like Fever-Tree Mediterranean, Capi Native or Fentimans 1905. Lobo Djinn, KIS Wild, Artemis, Monkey 47 or Lyre Bird + Fever-Tree Mediterranean + a few dried cranberries. Look out, these by law must come in at 57 per cent alcohol or above! These have the power to be served long with a classic Indian Tonic. Either serve up with a half lime squeezed, or with bright strong garnishes like star anise, cassia bark, cinnamon or a sprig of mint. 23rd Street Navy Strength, Prohibition Bathtub, Elephant Navy, Four Pillars Navy Strength + Schweppes Indian Tonic + star anise. Look for these special seasonal gins infused with classic baking spices, which work well with Indian tonics. Four Pillars Australian Christmas Gin, Prohibition Christmas Gin, McHenry Christmas Gin + Bickford’s Indian Tonic + cassia bark. Hains & Co, 23 Gilbert Place, Adelaide, is open from 4pm till 2am every day.